I don’t have the time to develop my website? That’s Easy! If you are on a small budget and don’t want to dedicate some hours to create your website or want a pro’s touch on your website; You can get a custom website designed for as little as $400-500 and then have he full capability to manage, edit and add more content on your own anytime you want. I don’t want to spend thousands of dollars? Depending what you need the price will range between $400 to $750. You get to talk to one of our design experts and provide your needs and wants. Our design team will then use your requirements as guideline to create a professional site and layout and set-up with ability to manage and update your own content anytime. I want to work with a professional Creative Designer? Red: One of the primary colors is associated with importance, passion, war, determination, and strength. Orange: A secondary color. Orange is a color associated with joy, creativity, stimulation, enthusiasm, and food. Students to Professionals: Save and Link Up! As students your professor told you to always save your work. I’m sure everyone has had that experience where they did a lot of work, perhaps a ten page paper and all of a sudden your computer crashed and your work was gone because you did not save. Well this is not just a helpful tip for school, but also useful after school. Throughout your college years you have accomplished a lot and most of it was career related. I’m sure there were projects and long tedious assignments that you had to do and did well in. Wouldn’t you want to be able to use these as work samples and items on your resume? Well if you don’t save them then how are you going to be able to convey your skills. You spend hours and time doing various assignment , so why not take two seconds to save it? Easy WebContent is great! It is easy to create or edit our website, and the support team is so helpful & quick to respond! They guided me through the entire process! April Giveaway: Free Website to One Lucky Nonprofit! Who is the giveaway for? Any Nonprofit worldwide that would like to have a brand new website. Why are we giving a website away? 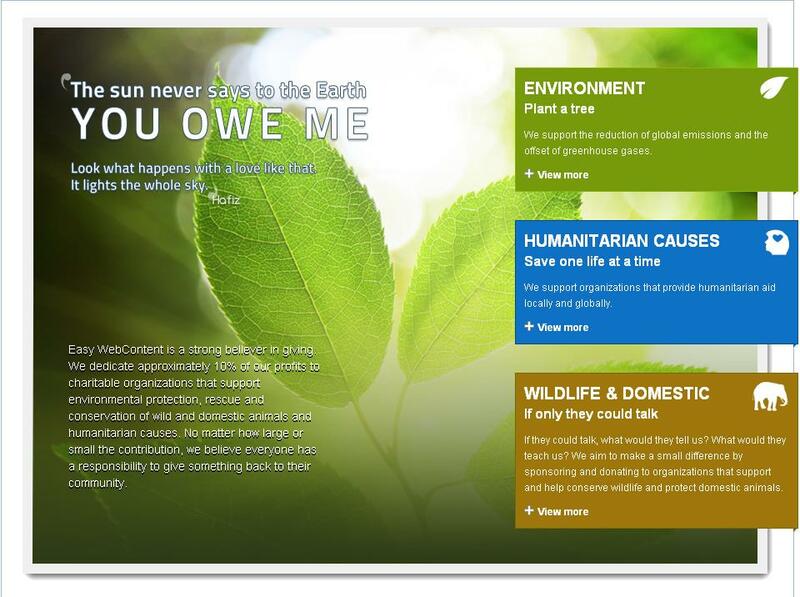 Easy WebContent is ‘Giving Back’. We want to show how important it is to have a web presence and how cost effective it can be with the right web tools for any organization. 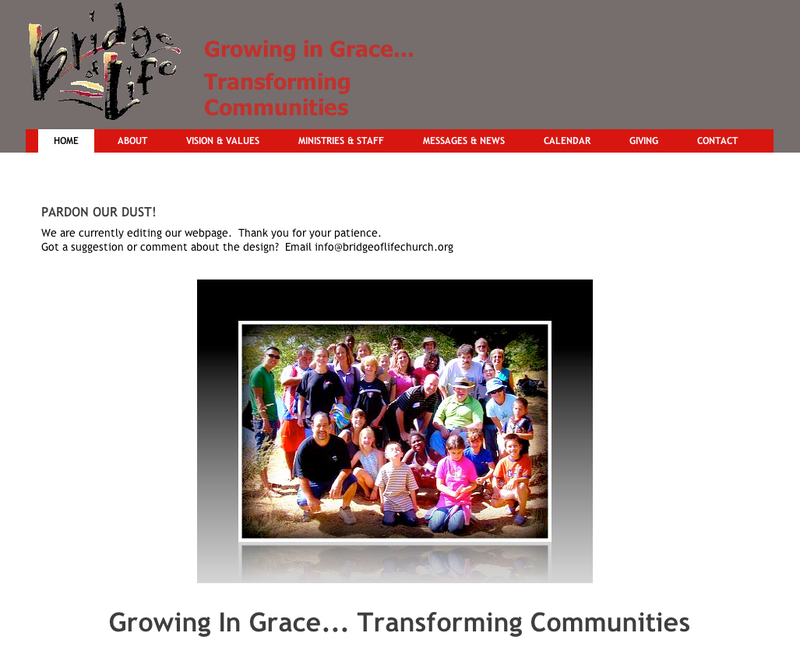 Our Complete Site Builder package offers tremendous community outreach value. This is a great opportunity for a Nonprofit to win a free website and have the opportunity to work with a professional designer absolutely free. We’d like to wish all Nonprofits the best of luck – and we look forward to helping them develop an online home to inform their audience about their cause with Easy WebContent. While reading on guest blogging last night I came across this video on crowdsourcing and crowdfunding. I thought it was a great way to explain the function and importance of developing relationships not only with your audience, but with your fellow experts. It’s just that ‘Easy’! Can Linking to Other People’s Sites Actually Help You Get More Traffic?